The Legacy Entertainment-designed Shanghai Haichang Ocean Park has just been named “Best Theme Park” at the 2019 China Cultural & Tourism Development Conference (CAAPA), which was recently held in Beijing. The park won a “Ferris” Award from the CAAPA for “Best Theme Park” for its scale, theming, quality, and high construction standards. According to Jeffs, some 330 million people live within a three hour drive of Shanghai Haichang Ocean Park – a venue which represents the first marine attraction in the region. Normally, the major aquariums and sea life attractions in China are located in the south – and while the north-east of the country is the area of greatest population density, it has, up until now, lacked a world-class marine attraction. Shanghai Haichang Ocean Park represents the first time that hundreds of millions of people are now able to see whale sharks, orcas, beluga whales, and many other species which are presented there. Legacy started working on Shanghai Haichang Ocean Park in 2013 on behalf of their client Haichang, which operates aquariums throughout China. “We saw what they did and were very impressed, so we really wanted to work with them. 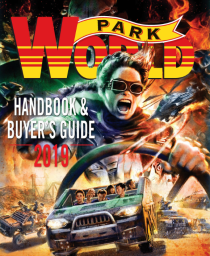 What we didn’t know at the time we first began our relationship was that they’d also already hired three other firms to design different concepts for Haichang Ocean Park,” Jeffs said. 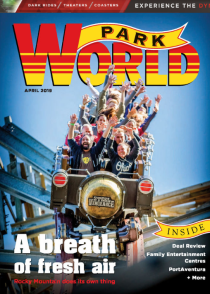 “In addition to the amazing sea animals displayed there, the park also has a great Intamin launch roller coaster aimed at families, and the world’s longest rapids ride, which is really neat. There’s a train ride, there is an aerial skyway gondola ride, and there a variety of other family rides as well. 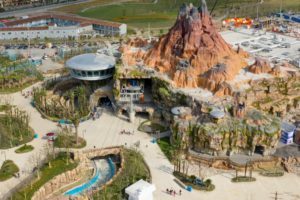 So overall, Shanghai Haichang Ocean Park is much more than just a sea life park – it’s a highly dynamic venue offering multiple interactive adventures and experiences,” Jeffs concludes.